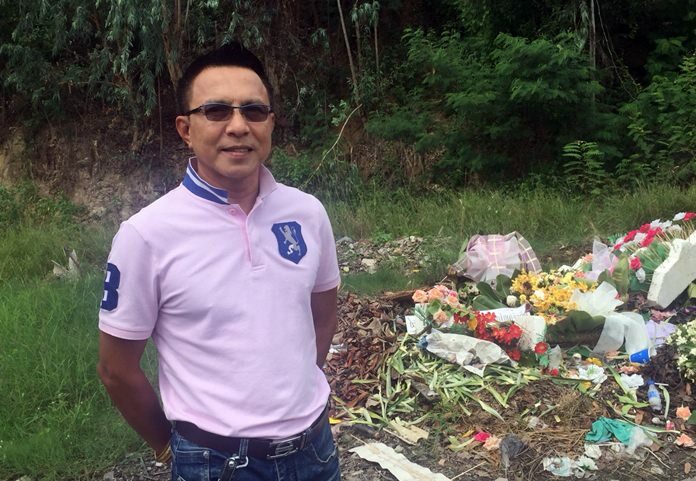 Wanchai says wreaths instead of flowers will help reduce rubbish in temples. A Nongprue councilman said garbage and organic waste emanating from sub-district temples could be reduced if people stopped donating cut flowers and also donated electrical appliances in their boxes. Addressing Nongprue’s continuing trash crisis, Wanchai Saen-gnarm said a major source of waste is the area’s temples, where residents on a daily basis are leaving flowers, petals, televisions, fans and other items to make merit. 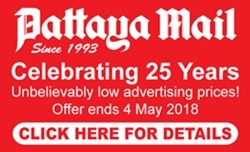 He said he went to Boon­samphan Temple to test a theory that the wat could be kept tidier if people brought wreaths and garlands instead of loose flowers. Wanchai didn’t detail how he implemented the system, but said strung flowers or wreaths proved easier to clean up and the temple grounds were cleaner. He said people who bring appliances, such as fans and TVs, should also bring the boxes so that old ones can be disposed of neatly. Wanchai advocated that all temples should impose such restrictions on flower use and donations to help the sub-district deal with its overflowing garbage problem.